This is a BIT Cache. This is a laminated tag, similiar in size and appearance to a Munzee. 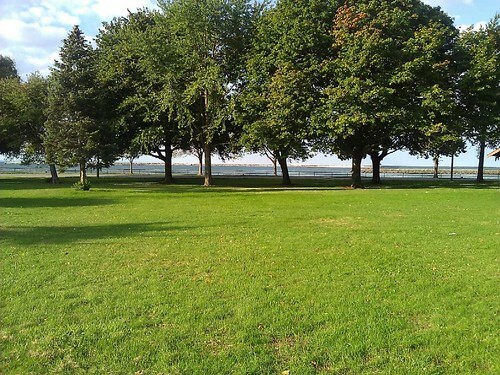 In addition to being the home of Buffalo’s only official dog park, LaSalle Park is Buffalo’s largest waterfront park, located at the junction of Lake Erie and the mouth of the Niagara River. LaSalle Park parallels Buffalo’s waterfront, the breakwall, and the Erie Basin Marina. It is also home of the historic Colonel Francis G. Ward Pumping Station of the Buffalo Municipal Water Authority, as well as Buffalo’s Centennial Pool, which reopened in 2010 after being renovated. The path along the waterfront is part of the Riverwalk link, which provides public access from northern Erie County to downtown Buffalo. Amenities and activities also include: rollerblading; walking; jogging; bicycling; softball fields; baseball fields; football field; soccer fields; playground; amphitheater and meadow. LaSalle Park is open to the public year-round. This cache was moved, and it was moved, I'll guess about 300 feet. Happy hunting, I think I'll put more BIT's in this park, especially since I'm killing those Broderick Pier BIT's. Not that anyone is finding those or these, But I am a persistent little bugger, aren't I? Oh man did not know I needed a password to log it. Thought the saved scan was enough... newb rookie here. Okie doikie this is better... Have the correct info in hand to log this as a find. Glad to see this park is getting better. Won the championship one year yonder years ago on the softball field here. Good views are readily availble from this park. Good place for an OCUS cache. Thanks Yuck! Not my day forBIT caching. My phone lead me to a picinic in progress.